The Helios Trust - Helios Trust - skin and beauty. The Helios Trust was set up in 1995 to provide a secure long-term foundation for an holistic approach to the treatment of illness in response to the future needs of the Helios Medical Centre in Bristol. It comprises the Helios Therapy Group and the Helios National Health Service Practice and is housed in a building provided and maintained by the Trust. 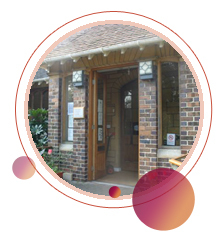 The Centre is one of six in the United Kingdom operating partly within the NHS offering anthroposophical treatments which combine mainstream and other remedies as well as a range of therapies specific to the Anthroposophical approach. The Helios Medical Centre is a healing community in which doctors, therapists, helpers and patients are partners in promoting good health and responding to the suffering caused by illness.